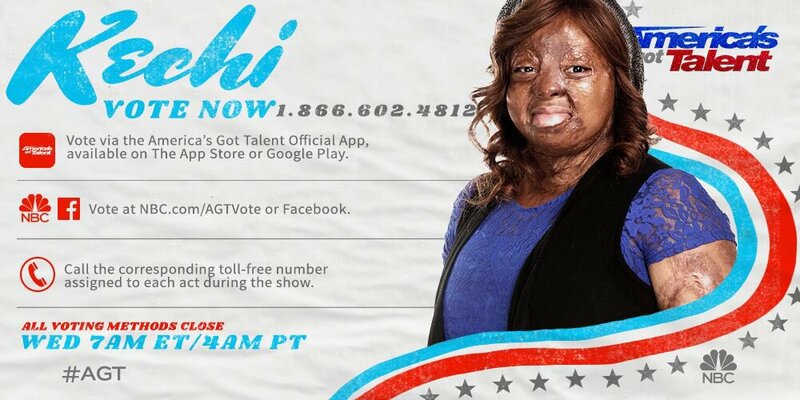 So Guys here’s how to vote for our own Kechi Okwuchi, the sosoliso plane survivor. She Share this via her official social media timelines..
Hey everyone!! The time has come! Voting is now OPEN! You can vote on the #AGT app, on http://nbc.com/agtvote and by phone!